21–22 November 2015 (Sat–Sun), 9:40–18:00 — Gymnázium a Hudební škola hlavního města Prahy — Komenského náměstí 9, 130 00 Praha–Žižkov, Czech Republic. ►► Teachers’ concert “Like as the Lute delights”, Friday 20 November 2015 at 19:30. ►► Registration form for participants. ►► Time schedule, participants’ list. The outstanding musical educational event “Art of the Song” features two prominent foreign guests. 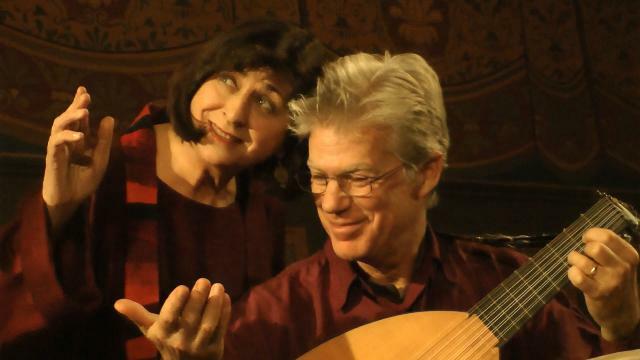 Evelyn Tubb, British singer and specialist in Early Music, and the American lutenist Michael Fields will together share their rich experience with interested professionals and students. Evelyn Tubb addresses in particular how to develop the interpretive skills, a healthy vocal technique and the personality of the artist, together with the details of communication amongst the performers, the stage appearance, and the theatrical aspects of music performances. Michael Fields will work in parallel with ensemble and lute classes. Active participation in the masterclass is offered to professional and semi-professional singers, vocal ensembles and also to instrumentalists working with singers. It is also possible to accommodate a limited number of amateurs. We recommend that the participants attend as many lessons as they can. Active participation is also offered to teachers in primary and secondary schools, who can receive a diploma by completing a course accredited by the Czech Ministry of Education (MŠMT) within the framework of the DVPP system for further education of pedagogical professionals. Passive participation in the masterclass is possible for anyone who is interested in Baroque and Renaissance music and its performance practice. 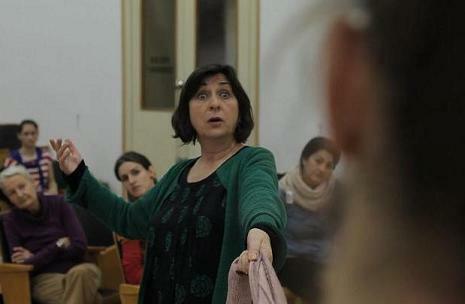 The official language of the masterclass is English; people are available to help as interpreters. The number of active participants is limited. The masterclass is primarily focused on music of the Renaissance, Baroque and Classicism. Participants can bring any repertoire they feel comfortable with, “from the Middle Ages to Beatles”. We recommend that the singers learn their repertoire by heart. The indicated times are tentative; the schedule will be communicated to the participants before the masterclass..
We highly recommend visiting the teachers’ concert “Like as the Lute delights”. 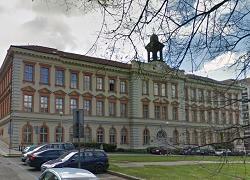 In case of complications, please contact us at by e-mail at kontakt@hudebnilahudky.cz. All participants (active and passive) can listen to all lessons on both days. Accompanists who do not want a solo lesson pay only passive participation. For pre-existing vocal ensembles that want to work in greater detail on already studied music. Please contact us with details about the repertoire, number of members, scores etc. The price is the same as for a solo lesson; each ensemble member pays for passive participation. one ensemble lesson with Evelyn Tubb, a ticket for the concert. All prices comprise passive participation for both days. The price is reduced if you take additional lessons (in the same or another subject). Active participants can buy tickets for the teachers’ concert at a reduced price. For details of price reductions, see the registration form. On request we can issue a receipt, invoice or other confirmation for the fiscal authorities, employer or other purposes. For a limited number of persons we can offer a reduction in the participation fee. Please forward this information to those who might be interested. We look forward to seeing you! The masterclass “Art of the Song” is an accredited programme in MŠMT’s system for further education for teachers (DVPP) under ref. 6523/2015–1–266 (only for teachers at primary and secondary schools, music schools and conservatoires). listening to the teachers’ concert. To obtain the diploma, an attendance of at least 75% of the lessons of the curriculum is required. The DVPP course will be realized if there is sufficient interest. Michael Fields (lute, guitar) was born in Hawaii, where the song of the surf and the rhythm of ukuleles made a lasting impression on him. He began his musical journey playing folk, rock and jazz in California and Australia, until a romantic interest in older music brought him to England in 1974 to study classical guitar and lute. His career as a performer, conductor, and teacher has since taken him back around the world several times. Michael is the Musical Director of Sastamala Gregoriana Early Music Festival in Finland, regarded as the leading early music festival in that country. His video of the Vivaldi Lute Concerto is a big favourite on YouTube! Here some comments from the participants in previous masterclasses. In retrospect I can say that the courses make sense, especially when one takes part in the whole course, also passively. And it is probably necessary to emphasize this to all potential participants. If someone came only to his own lesson, he would miss a lot. I realized many things just by listening to the other participants. This is also related to the price. Not only Evelyn’s approach to the masterclass, but also the concert convinced all of us how important performance and interpretation skills are. I feel that it is often forgotten that the singer mainly must be understood and must tell something. She convinced us especially when working with opera singers, whom she showed how to sing early music also with a big voice, and that it works. I met great personalities of the music world, who are among the most competent to share their professional experience. The theoretical and incredibly practical knowledge of the interpretation of the compositions that came up during the course, also enriching the knowledge of (above all) the singers, both technically and personally, were undeniable evidence of the quality of the lessons. Although the courses were primarily focused on early music, visitors inclined towards different musical styles were also satisfied. Already the very opinion and attitude of Evelyn and Michael to the music was bound to inspire every active artist. An added value that we greatly appreciate was the humbleness and respect not only towards music making, but also towards each course participant, which is not common with stars of the magnitude of Evelyn Tubb and Michael Fields. Great appreciation also to the organizers, thanks to whom everything proceeded in a completely relaxed and pleasant atmosphere. My expectation was filled to the brim. On one hand I was pleasantly surprised by the level of the singers who had signed up for the course, but what really made me enthusiastic was the way Evelyn works. Having the opportunity to observe such a whirlwind of positive energy, novel and surprising pedagogical practices, along with great expertise, supported by years of experience, is a truly exceptional experience that comes along very rarely. The biggest surprise for me was when I came back to the children that I teach and found that even my way of teaching has changed for the better! It was certainly brilliant that Evelyn Tubb’s and Michael Fields’ concert was directly connected to the course and on the same days, because this extracted the most of their visit and “mission”. It was very useful for me, after finishing the lessons also to see and especially hear what it eventually might look like. Also good was that Michael Fields involved himself in the lessons with his ideas and opinions; this way the work was more dynamic. It is needless to elaborate how inspiring and energetic personalities both are, Evelyn always perfectly capturing what each particular singer or song needs. Although I participated passively, it was enlightening for me. It gave me the courage to enroll as an active participant next time and experience the contact with Evelyn from first hand. She was very charismatic and the work with her will surely be very intense. I look forward to next year.